Facing a DUI as a civilian is already a serious offense and it only becomes worse for the military. As a civilian, the punishments for a first time DUI offender usually include probation, a fine and a driver’s license suspension; however, a conviction of a DUI in the military will lead to a dishonorable discharge for the offender. Getting a DUI in the army is the quickest and most sure-fire way to end a career. When the consequences of a DUI are this severe, it is important to remember that the best way to avoid a DUI is to not drive drunk. Instead, ask a sober friend to serve as a designated driver. When a person’s career is on the line, the consequences of a DUI offense far outweigh any potential benefits. There are several important differences between receiving a civilian DUI and a military DUI charge. First, a military DUI is tried in a military court that has a different set of rules and regulations. As opposed to a civilian DUI, where the blood alcohol level must be above a certain level to be charged with a DUI in the military that limit is lower than the state’s legal limit. 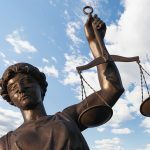 Essentially, if the military court believes that the defendant’s blood alcohol level was high enough to impair safe driving than the individual can be charged with a DUI. Consequently, it is military court’s discretion as to what blood alcohol level constitutes a DUI. In the military, intoxication can occur when there is any amount of alcohol found in a person’s blood. 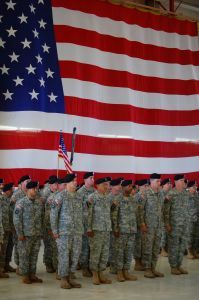 If found guilty of a DUI while serving in the army, the soldier will be subject to the same punishments and consequences of a DUI under the state’s laws. Therefore, in California the offender would be responsible for a fine of about $500, probation, mandatory attendance at a DUI school and a driver’s license suspension. Additionally, the DUI will more than likely end the person’s military career. Traditionally, the military court will issue a dishonorable discharge if the soldier is found guilty of a DUI. A court-martial will destroy the soldier’s reputation, military career and their benefits. Therefore, if facing a DUI charge while in the army having an excellent military attorney is a must. Contrary to public opinion, a civilian attorney can represent a soldier in a military court. The best attorneys will have a background in criminal law and be experts on military history. Clearly, the severity of receiving a DUI only increases when the accused is a member of the army. Getting a DUI in the army can have serious repercussions on not only the defendant’s military career, but also their life after leaving the military. In addition to facing a dishonorable discharge from the army the defendant will also have a criminal record as a civilian. Therefore, if you are a member of the army and arrested for a DUI hiring a competent attorney is a crucial first step in ensuring your freedom. Soi find a well-qualified and well-respected military criminal defense attorney who will fight hard to ensure the most favorable outcome possible for each soldier criminal arrest charges. Christopher J McCann has a DUI law firm in California. 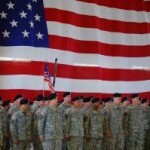 If you need help with a DUI in the army and need legal representation, you can visit his website at cjmdefense.com. You can also follow his tweets at @CJM_Law_Firm to be updated on recent DUI related laws.